Prime Minister Nawaz Sharif's Advisor on Foreign Affairs Sartaj Aziz, on 25 November, said that Pakistan would not accept India's superiority and bilateral talks will be held only if the Kashmir issue is included in the discussion. He made the remarks during a National Assembly session as the members raised concerns regarding India's attempt to isolate Pakistan, reports the Express Tribune. Aziz announced that Pakistan was willing to hold talks with India, however, it would only do so if Kashmir was included in the agenda. Referring to Indian allegations regarding ceasefire violations on the Line of Control (LoC) Aziz said, "Pakistan has never attacked civilians along the LoC." 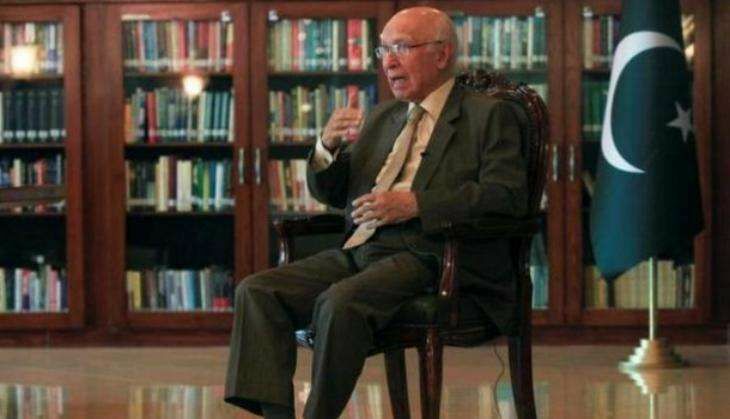 "Pakistan will continue to support Kashmiris in their fight for the right of self determination morally, as well as diplomatically," Aziz added.